This past weekend was definitely an odd one in the sense that Ian took the girls up to the mountainhouse and I was here in Charlotte all.by.myself. When I told him I had an out of town, all-day training on Saturday, he figured that he may as well take them to Boone (where his mom is) and do all sorts of fun mountain-related activities up there with them while simultaneously having a second set of helping hands. Which I totally get. Wrangling the gals solo is not the easiest! They did have a great weekend together, but what I really want to focus on is HOW RELAXING it was to have a solo weekend here! Friday afternoon, once they'd left, I started out by making a trip to Hobby Lobby and I just walked up and down each aisle and didn't worry about any glass candle holders getting knocked off of shelves. Then I made my way to a new-to-me nail salon for a gel manicure refresh and my best girlfriend Sarah joined me. 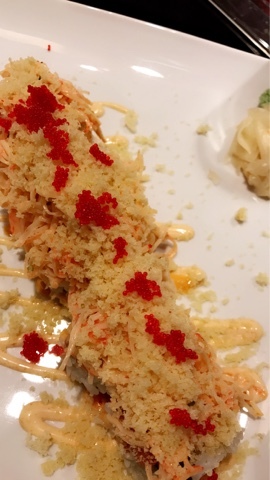 We had the most delicious sushi afterwards (Sushiya has become a recent favorite ... it's in a strip mall and definitely not hoity-toity but MAN it's good!). That night I made some hairbows and talked on the phone to another girlfriend, finally turning out the lights around 11. 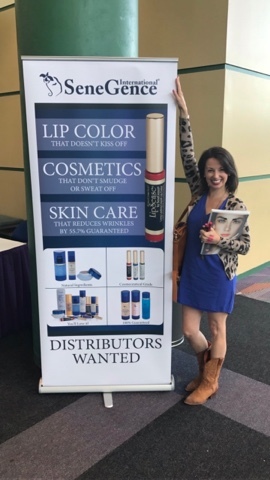 Saturday morning I was up at 6 and I drove to Greensboro for some training for LipSense. It was AWESOME and so much fun, and I sat at a table with some really sweet girls. Rolling back into town that evening, I grabbed takeout from Yafo which is really delicious middle-eastern cuisine and brought it home, enjoyed it with a cold glass of rose, man oh man what an easy night! Sunday morning was my morning to just jump into tasks. I replaced our pitted, old-as-dirt brass doorknob and lock that leads out do our screened porch. Did it all by myself! It took a little longer than it probably should, but I was proud that I got it done. I worked on some paintings for our den, did two loads of laundry, washed our bedsheets and the girls' bedsheets as well, mopped and vaccumed, I was on a ROLL! 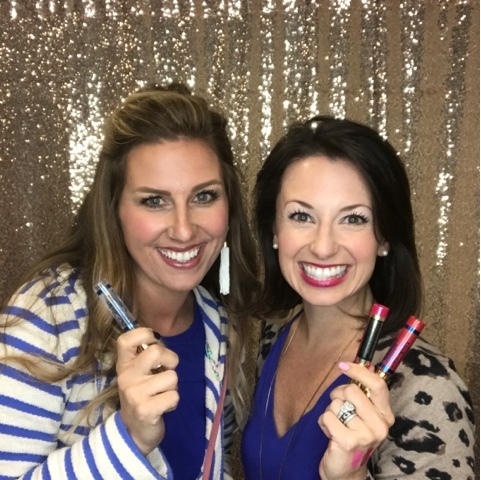 1) Your outfit for the Lipsense training was FABULOUS. 2) You are my hero for changing out doorknob/lock. Those things are TRICKY and I wouldn't even be brave enough to try! oh goodness, I can't even imagine! I just posted about my saturday night ALONE and even that felt a little surreal. Can't remember the last time that happened! hah Glad you enjoyed some downtime! Oh my gosh! THE DREAM!!! When I was pregnant I used to go to my trainer on Sundays while my husband took my son to his parents. I would get home and usually have about an hour before they got home. It was amazing. Although I do hear you about missing them! Glad you got some Mama time. Being a mama is hard and like you said, our needs come last so it was nice that you were able to get a weekend to yourself. Isn't it funny how a simple shopping trip without kiddos is a simple pleasure!? SO nice to have a solo weekend--you deserved it! Love solo weekends!!! Glad you got to make the most of it! WOW! I cannot even imagine what a solo weekend feels like! Have not had one of those since my college days I don't think. Which is a blessing, as I love being with my family, but sometimes a girl needs some breathing room! Hope you enjoyed it!!! Sounds sooo relaxing! Glad you enjoyed it! That sounds AMAZING! There is nothing better than a solo weekend at your own, quiet house! Definitely a treat but I totally understand missing them at the same time! !